After 33 years of running our theater company, my Steve is taking a little break. It’s been 33 years of no vacations, and darned few days off. For the first several years, I was right in the thick of it with him, writing shows, acting, fielding phone calls, sending out contracts in the office. Then along came the kids, and I gradually phased out of Family Stages to raise our own family. I still kept my hand in with some office work and the occasional performance (I was talked into playing Peter Pan at a preschool last December, when one of our actors was suddenly unavailable. Apparently the "boy who wouldn't grow up" now looks like a 57 year old woman.) Even when I began my current job at church in 2002, I remained at least somewhat conversant with the theater biz. 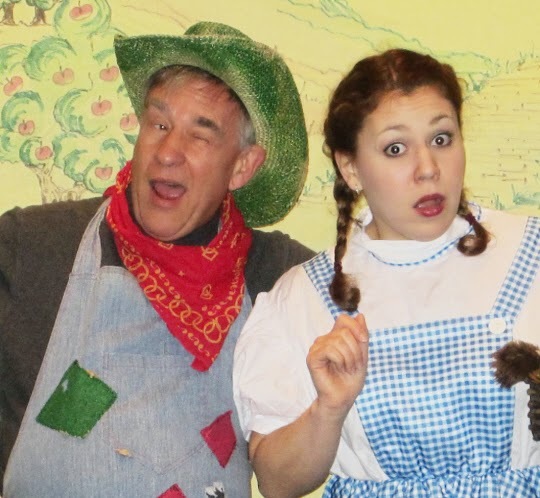 In recent years, while I continued to pitch in during the summer at our Rehoboth Summer Children's Theatre, my focus was gone. I stopped answering the office phone; I lost track of even the names of the performers who worked for us. Family Stages became part of my past, even as it remained a huge part of my husband's present. Steve’s been a one-man show, at it from dawn to late at night, building props, sending out mailings, directing productions, teaching after-school programs and the list goes on. Then a wonderful opportunity presented itself, thousands of miles away. Steve was invited to join a group from our Lutheran synod who will be traveling to Germany next month. He will be doing research for a new play he will write for the 500th anniversary of Martin Luther's bold stance that gave rise to the Lutheran church. It is a fascinating and dramatic story, and I know Steve will do a great job with this project. At first, Steve was all excitement, applying for his first passport, etc. But now that the adventure is a matter of weeks away, excitement is rapidly giving way to panic. Who will mind the store while he's gone? Who but Steve himself really knows how to run Family Stages? Steve is giving Julie a crash course. To her he will give the computer passwords, the phone log, updates on the actors. Jules is quite competent and is looking forward to helping her dad. But I know he will still fret and stew when he's away. Family Stages is his baby, and I'm sure he will experience acute separation anxiety. Here's my wish for my beloved husband: in the immortal words of the Frozen song,"Let it Go." The world will not end because you have left the country for ten days. Take that vacation (even if it is a working one to some extent) and enjoy yourself. 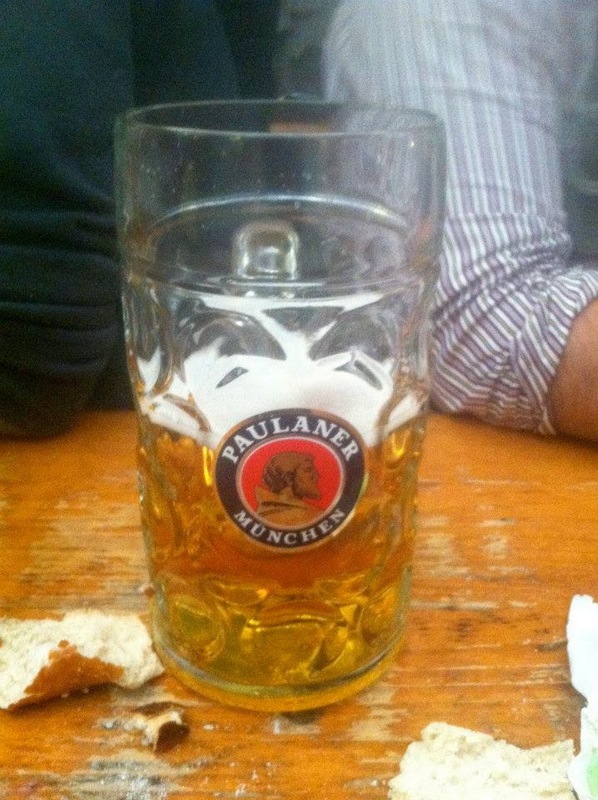 Explore the land of your ancestors, drinking in all the sights and sounds (and a few good German beers). We will survive, and so will the business. It will all still be here when you get home. Promise. 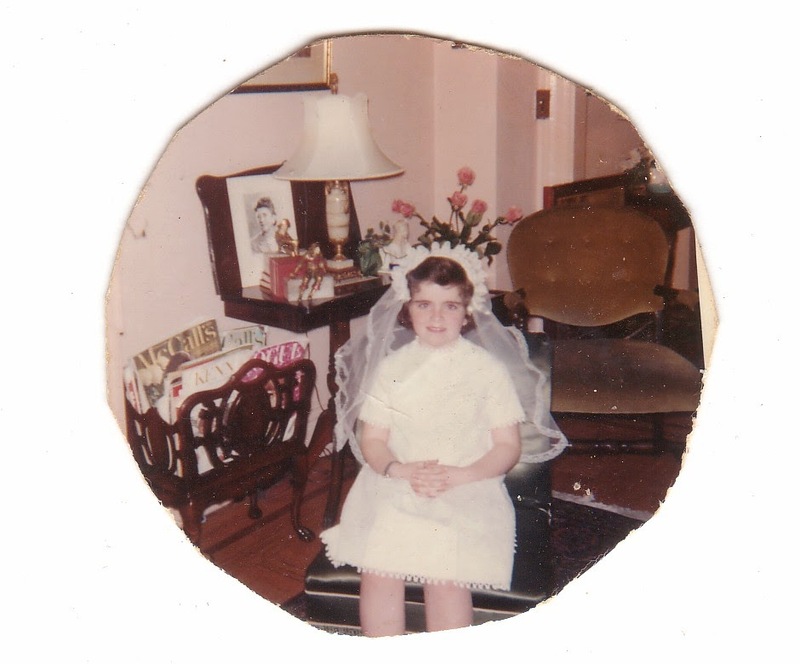 First Communion 1963--Ready for my Close-up! Catholics tend to be major Mary fans. I was certainly one of those who saw Our Lady as an intermediary, a more accessible bigwig, kind of like the executive vice-president, the one who has the Boss’s ear. Don’t bother Jesus with this stuff, but bug his Mom. She’ll get Him to listen. The wedding at Cana? That’s just one example of her clout. Mary seemed to me to be the perfect mother. Sweet, sinless, self-sacrificing. Mary raised the perfect child. She had to watch Him die. But she also got to see Him come back, and in the end she got a great reward—she didn’t have to die at all. She was “assumed” body and soul, into Heaven. That’s what I was taught. I was fascinated by Mary’s reported appearances all over the world, especially at Fatima and Lourdes. It made sense—she wasn’t quite God, I couldn’t imagine God having time to appear to shepherd girls on hillsides these days. He’d need to send the second team, Mom, with messages from Him. I don’t think there’s anything wrong with honoring Mary. I do worry when Mary becomes a substitute for the God we’ve decided has no time for us. I worry when we use an image of Mary to deflect the very real possibility that God has a feminine side. GK Chesterton wrote of a man, doomed to Hell for his mistakes in life. One by one, his friends pleaded with Satan to let the man out of Hell. One by one, Satan ignored their pleas. Finally, the man’s mother appeared at the gates of Hell. She didn’t plead from the safety of the other side. She instantly said, “Let me in”, and the gates of Hell opened for the man to be freed. That is the limitless love of a mother. That is the limitless love of our God. So let’s take our limits off God. To take nothing away from Mary, Mary is not God. God is God. And if God is our Father, I believe that God is also our Mother. What a joy to know that we live sheltered by our Divine Father’s strength, and held in our Divine Mother’s arms, for all eternity. God bless you all this Mother’s Day.